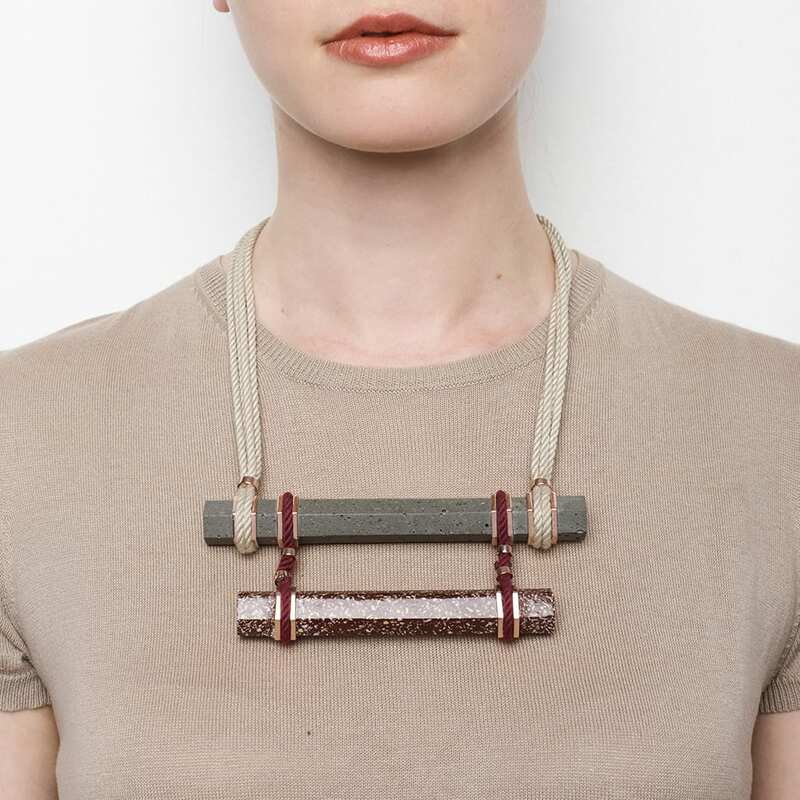 Kinetic Jewellery Collection by Studio Elke. 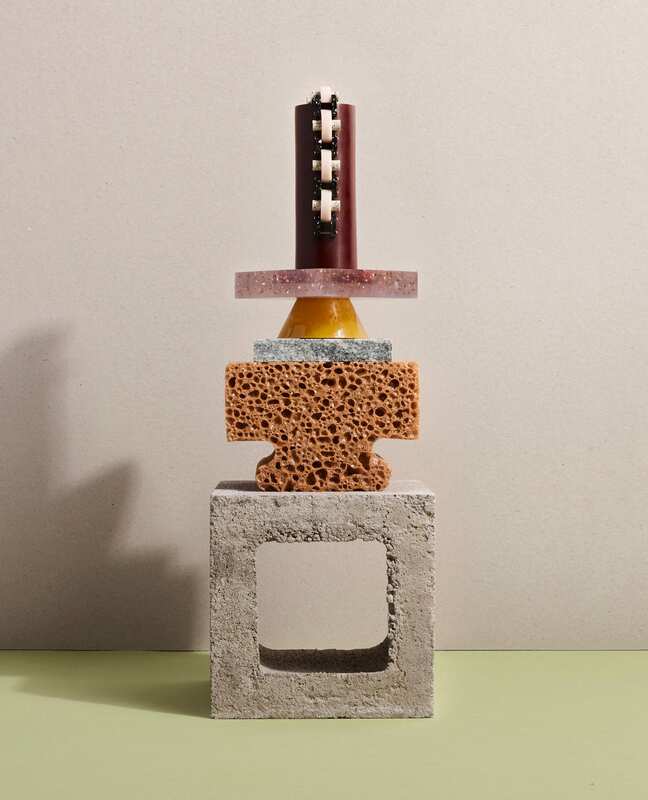 Elke Kramer’s jewellery has always had a brave architectural aesthetic. 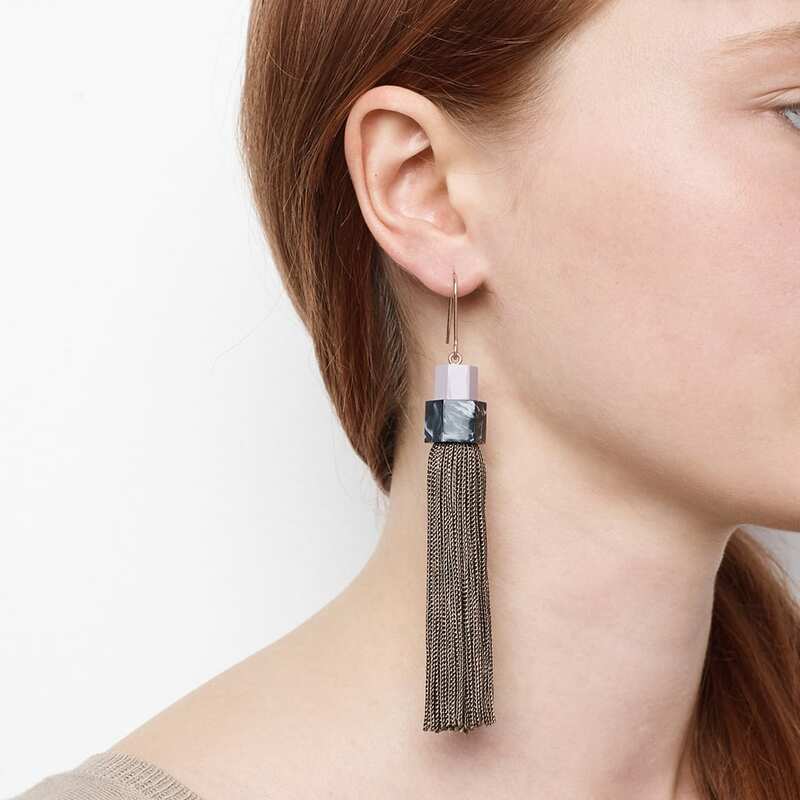 From her signature sweeping jewel-toned tassels, to bold cylinders of carved resin and stone, Studio Elke’s statement earrings, necklaces, and rings are not really sweet adornments, but objet d’art of their own. Led by materials over runway fads, and experimental fabrications and new forms instead of hot trends in fashion world—her collections are stand apart and original, and resonate a little deeper. 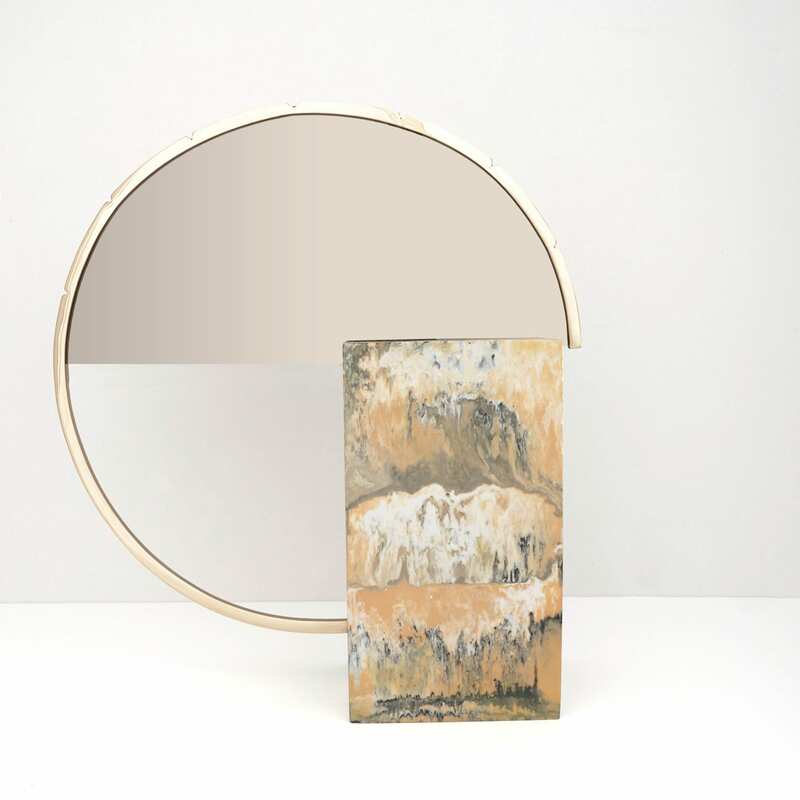 Natural then, that the Sydney-based designer has broadened the scale of her work with a new series of actual objects for the home. 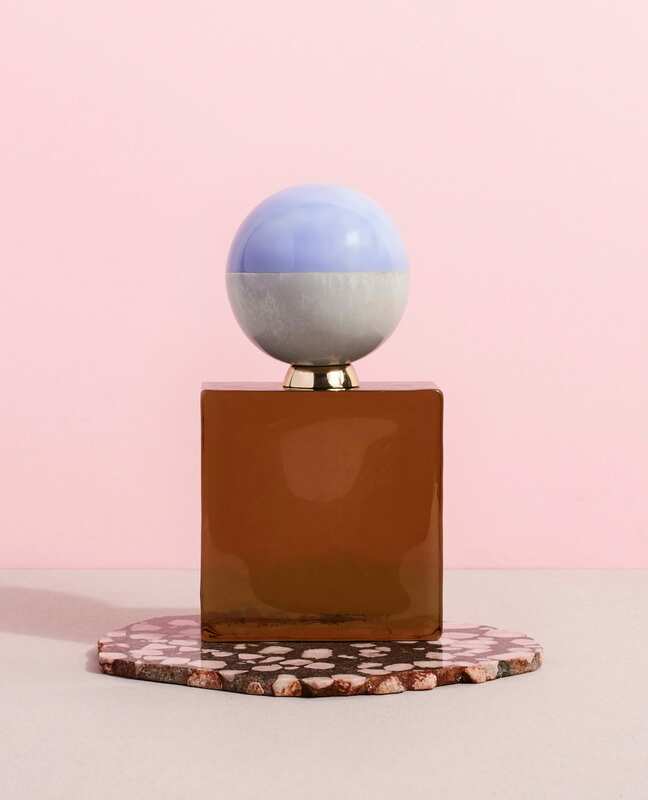 “Ultimately, we’re just lovers of beautiful things,” Elke says. 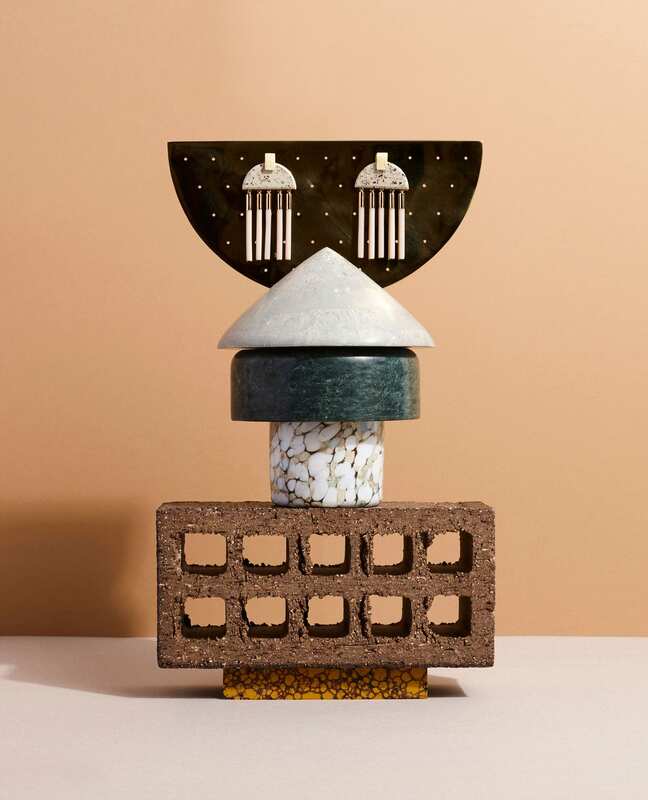 “We have a holistic design approach in the studio and we really wanted to develop and expand on what we do.” Titled The Jewel Keepers, Elke’s object collection is a very natural extension of her designs to date, with jewellery boxes and earring and bangle stands. There’s also a half-moon mirror stand, and decorative wall mobiles—which look like a pretty perfect large-scale iteration of her pendant earrings. 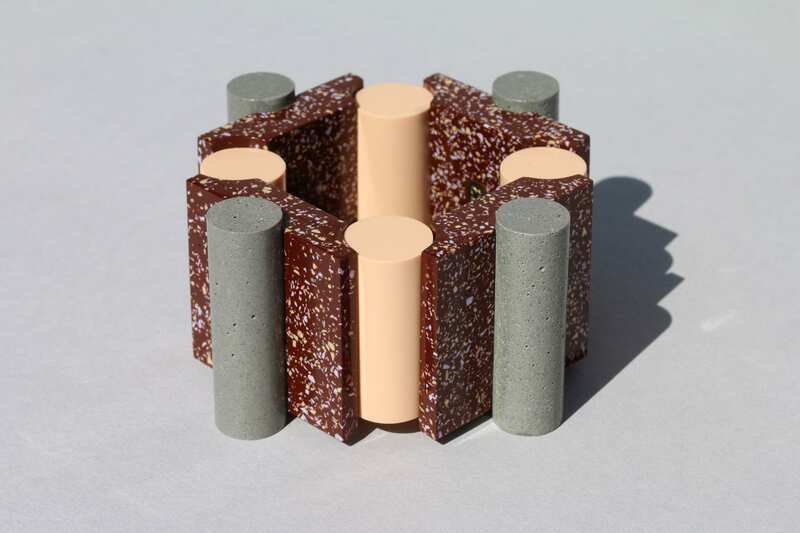 Related: ‘Sand’ Collection by Dinosaur Designs. 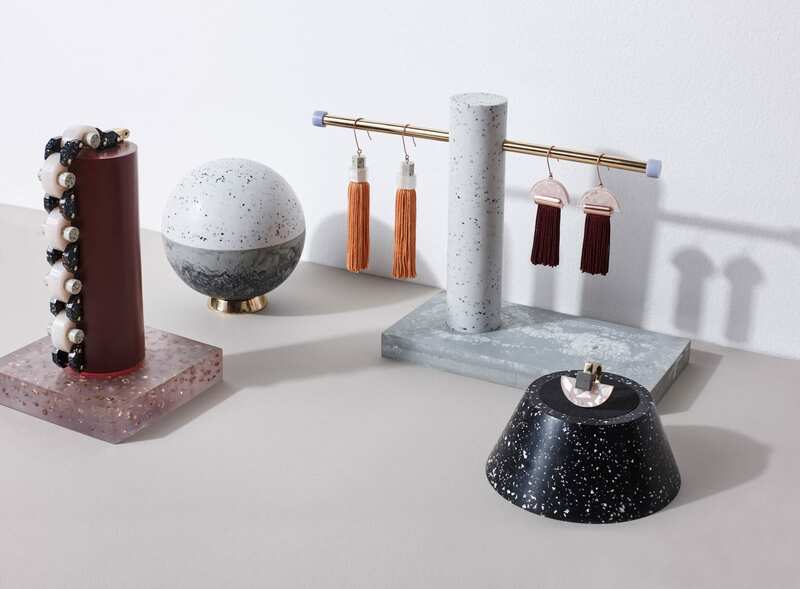 Rendered in her unique luxury, earthy aesthetic, Elke’s objects are fused with unconventional materials: charcoal, crushed seashells and concrete create a complex marbling and terrazzo finish. 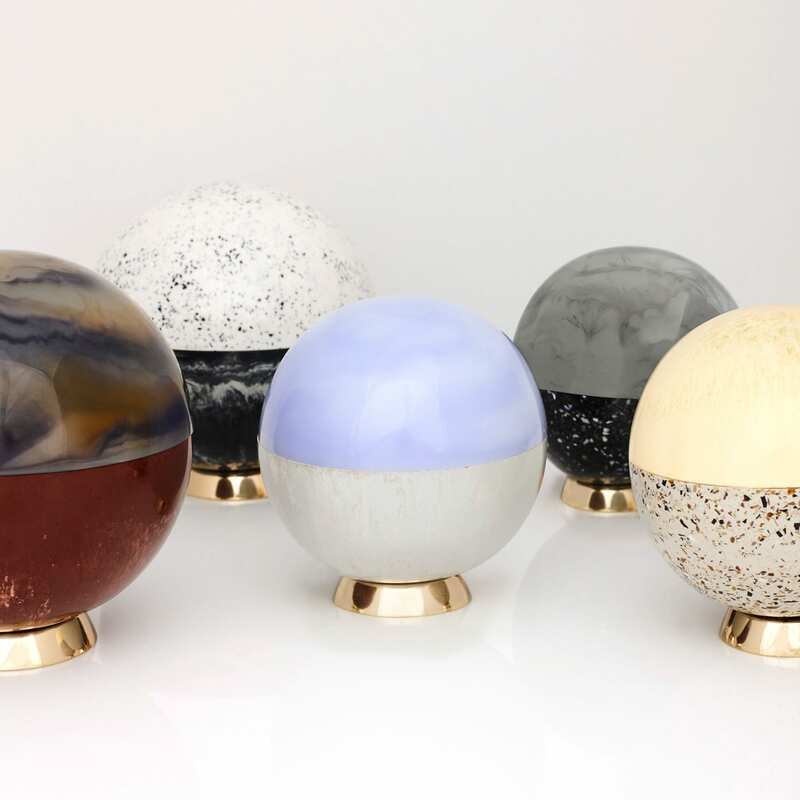 Jewellery boxes are orb-shaped, and sliced in half in two tones, and wall mobiles feature polished brass, mirrored Perspex, and long cumin-coloured tassels. Each component has been handmade with emphasis on quality and durability, and via ethical manufacturing processes. 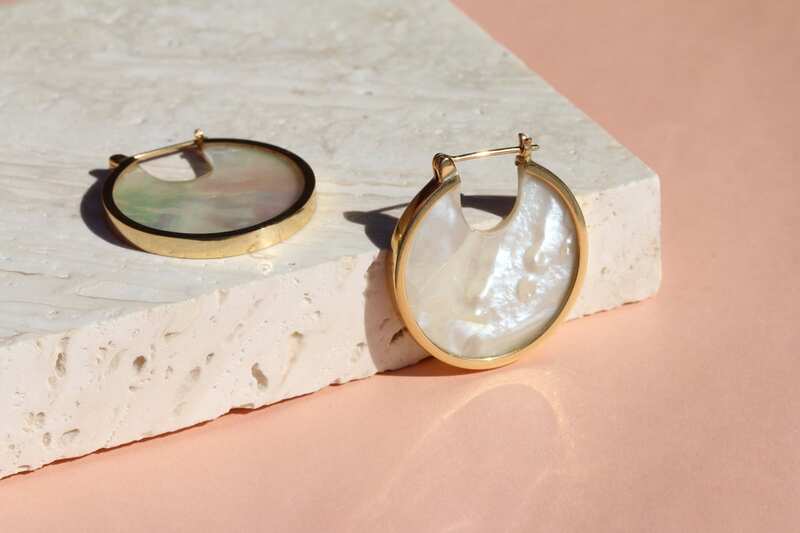 See more Jewellery on Yellowtrace here. Chalet in the Swiss Alps by Pierre Yovanovitch.